· The Peugeot Sport Racing Shop will officially open order books for the 308 Racing Cup after this weekend’s TCR Benelux round at Mettet (Sunday 30) where it will be in action. In addition to delivering an upgraded performance package and genuine driving enjoyment at a reasonable price, the new car will also ensure lower running costs, while at the same time offering owners the possibility of racing it in a high number of championships. · The 308 Racing Cup – the brand’s single make series in 2017 – will feature an attractive mix of venues, including two curtain-raiser sprint races ahead of next year’s Total 24h de Spa. Meanwhile, an even bigger prize fund will be up for grabs. · The 308 Racing Cup will be eligible to compete in a broad spectrum of touring car-based competitions (TCR, ETCC, VLN, 24H Series, etc.) and a TCR Performance Kit will be available from 2018 to enable owners to race at the sharp end in the international TCR series. In order to make sure that it meets the exacting demands of teams and drivers, the 308 Racing Cup has already clocked up some 23, 000 kilometres of track running, including competitive outings at venues such as Alcaniz, Spa and the Nürburgring within the framework of championships like the TCR, VLN and ETCC. On Sunday, it will take on fierce opposition at this weekend’s TCR Benelux meeting at Mettet in the hands of the outgoing RCZ Racing Cup champion Aurélien Comte and Frédéric Bouvy. Order books for the new car will open officially after this race. The pre-tax, ready-to-race price of the 308 Racing Cup is €74, 900. The car’s characteristics, and notably the specification of its engine, were thought through from the outset to bring down the expense of competing. The result is a 15% saving on technical costs compared with the 2016-spec RCZ Racing Cup (a single engine for the entire season). 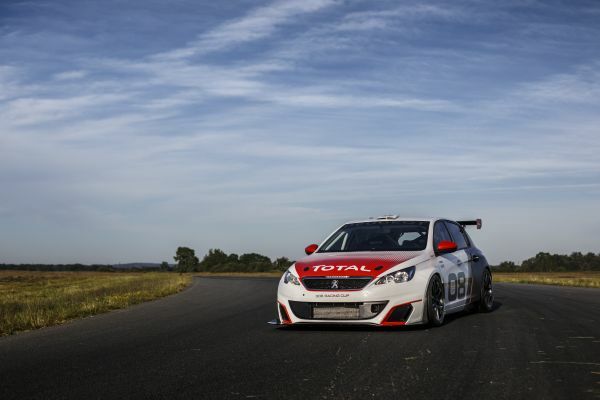 Peugeot Sport has chosen the new FFSA-sanctioned, SRO-run Championnat de France des Circuits as the mother series for the 308 Racing Cup. Five fixtures in France – with two sprint races per meeting – will enable 308 Racing Cup runners to benefit from the framework of this first-class programme. In addition to these five rounds, the highlight of the season will no doubt be the two races organised as curtain-raiser sprints to the 2017 Total 24h de Spa to the exceptional backdrop of Spa-Francorchamps in Belgium. 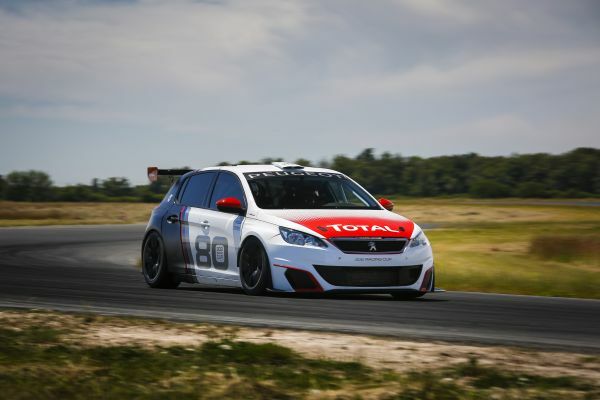 The top prize at the end of the 2017 308 Racing Cup will be a 308 Racing Cup complete with Peugeot Sport’s TCR Performance Kit which will enable the winner to compete in a wide variety of championships. Moreover, the basic specification of the 308 Racing Cup makes it eligible to compete in a range of top touring car series, from the TCR, ETCC and TCES (Touring Car Endurance Series), to Germany’s VLN, the CER in Spain, the Italian CITE and France’s 24H Series. Being able to participate in so many competitions is likely to be a key budget-related consideration for 308 Racing Cup customers, whether they be teams or privateers. In its basic trim, the lightweight 308 Racing Cup delivers 308hp, comes with a high-performance chassis and features specific electronics. At the same time, it offers significant potential for future development and Peugeot Sport’s engineers are already working on a TCR Performance Kit for the 2017-spec car. This kit will be ready in time for the 2018 season. 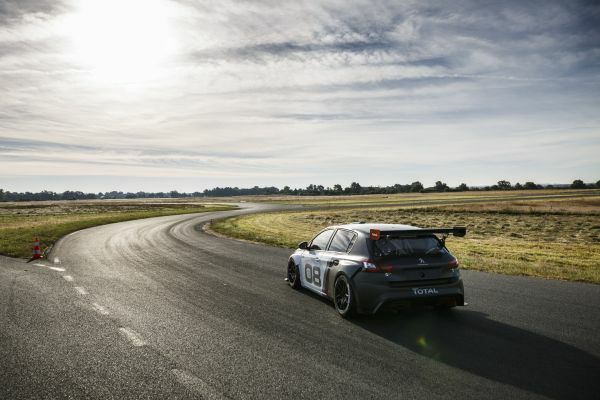 The objective of this kit – which will notably deliver significant improvements to engine, suspension and aerodynamic performance – is to enable 308 Racing Cup owners to compete at the sharp end in the TCR International series.